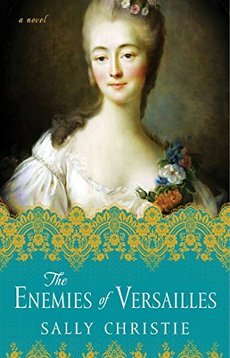 The third and final book about the mistresses of Louis XV, The Enemies of Versailles, tells the story of the fabulous Jean Becu, the Comtesse du Barry, the last official mistress of Louis XV. She had an amazing life, and fans of Marie Antoinette will be familiar with her - du Barry overlapped with Marie Antoinette for several years at Versailles. Her story is balanced with that of Madame Adelaide, the King's eldest daughter, and one of du Barry's avowed "enemies". Click on the links below to learn more about the Comtesse du Barry and Madame Adelaide, as well as the secondary characters and places from the book, and more information about my research process.